Blount County Farmers and Blount County-Oneonta Agribusiness Center will hold the annual “Special Day” at the Blount County Farmers Market Saturday, July 11, from 8 a.m. until 11 a.m.
Information on food preservation, canning, freezing, and drying will be available, and farmers will donate fresh vegetables and produce for a drawing at 10 a.m. Free soft drinks will be available throughout the morning. Now open each Tuesday, Thursday, and Saturday from 7 a.m. until 1 p.m., the market offers fresh produce, fruits, and vegetables to Blount Countians eager for local products. 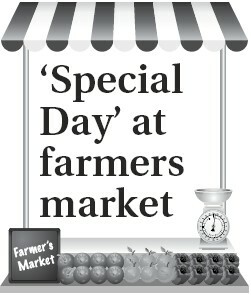 Those with questions about the market or its “Special Day” may call the agribusiness center at 274-8839.